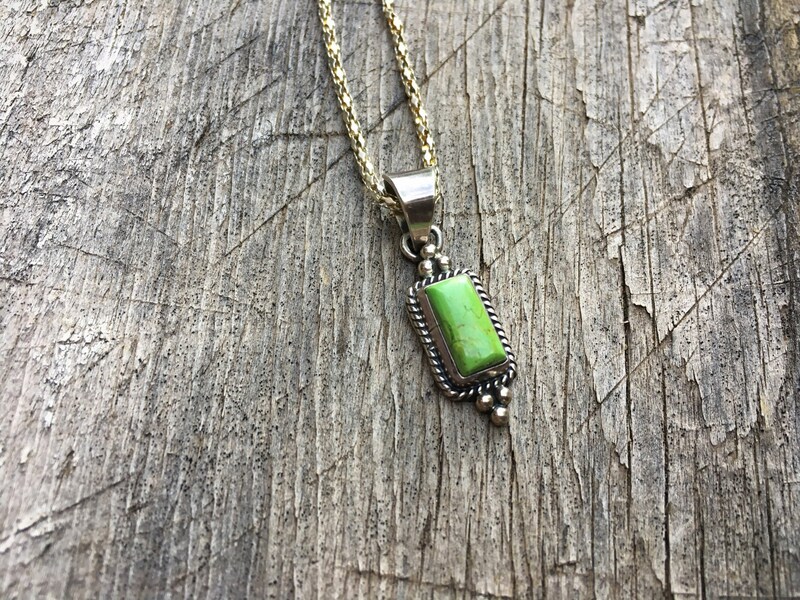 The beautiful green in this pendant will go with so many colors and skin tones, and it is a great small size for the woman who loves to wear color yet not too much. 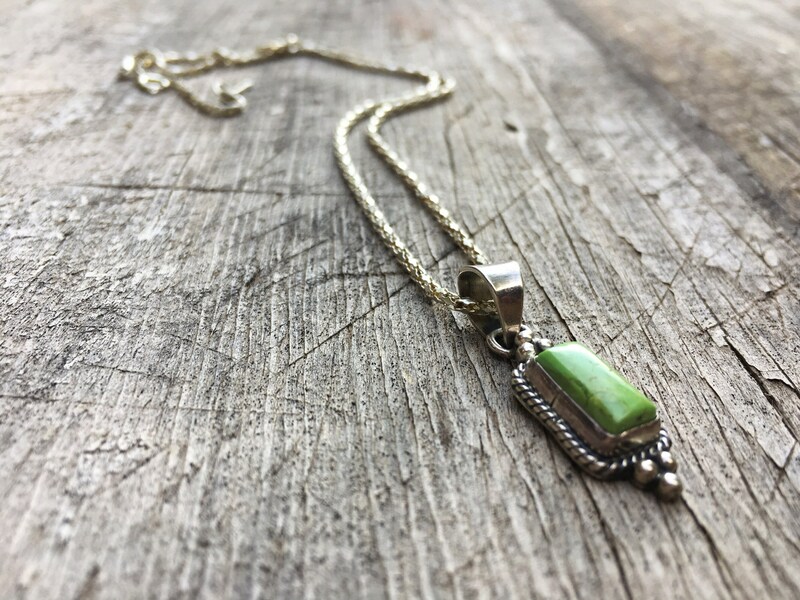 Made by Navajo Garrison Boyd, the pendant feature a traditional twist wire frame around the smooth bezel, and silver raindrops at the top and bottom. 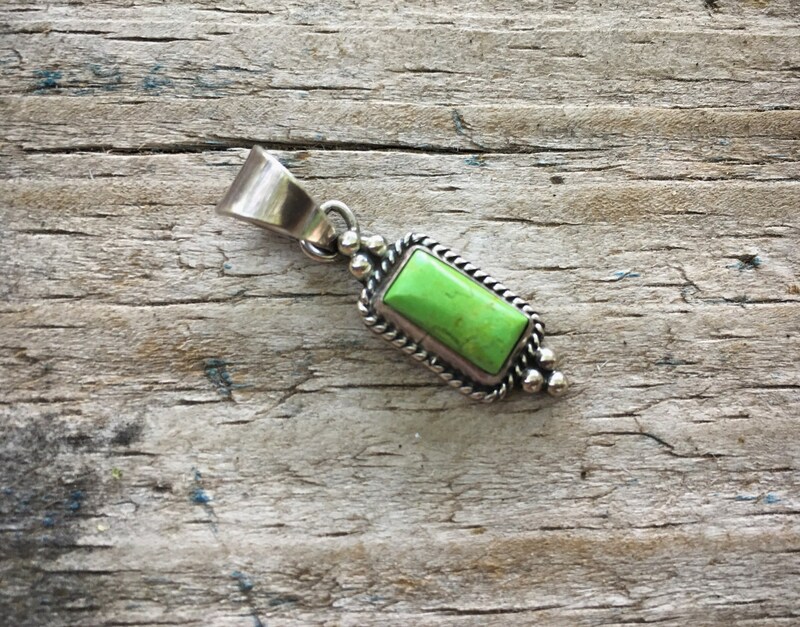 The fairly bright light green gaspeite stone has small hints of matrix throughout. 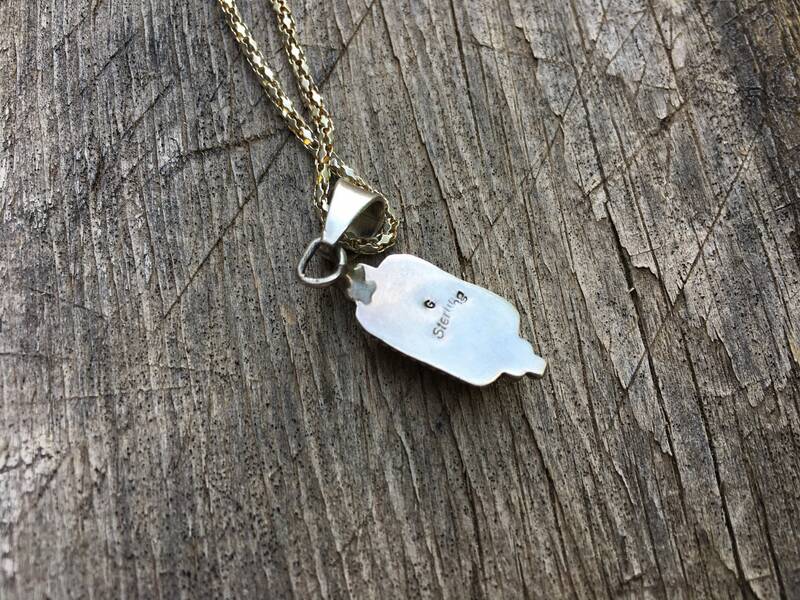 I am offering with or without the 20" sterling silver chain pictured. Select which option you prefer. 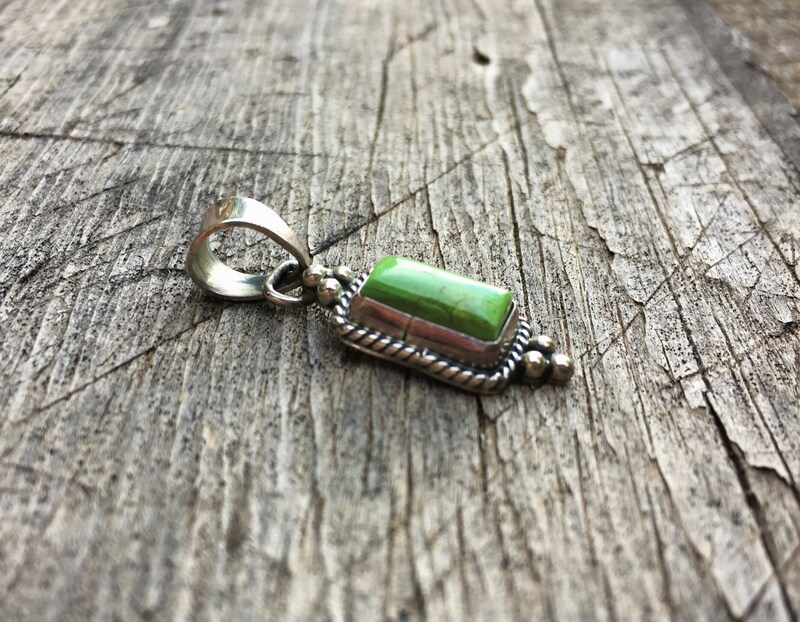 The pendant measures about 1" long including the eye hook yet not the bail, and over 1-1/4" long including the bail, by about 3/8" wide. Some small scratches on the back of the silver from age and wear. 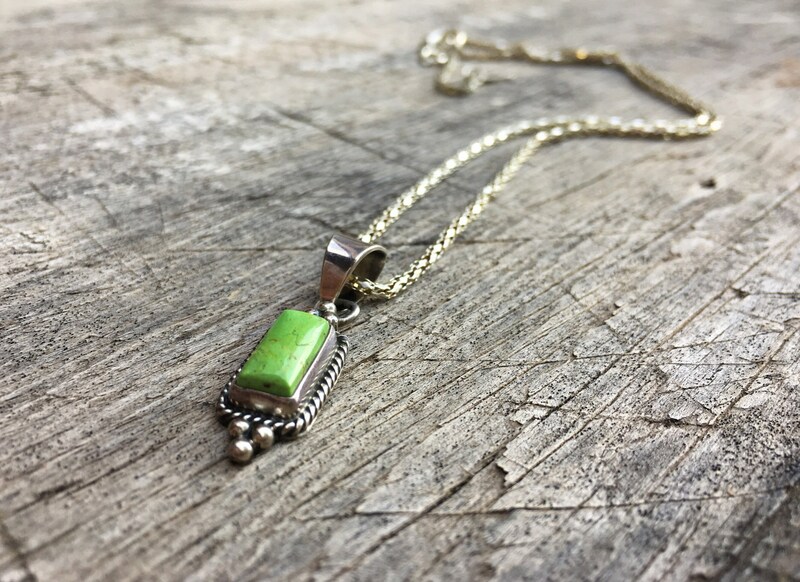 For the person who loves to go green! Love them! I am going to wear them for Saint Patrick’s Day! Thank you!